Menemsha Fishing Captain Jonathan Boyd of Menemsha Blues Charters has been fishing Martha’s Vineyard waters since he was a young boy. 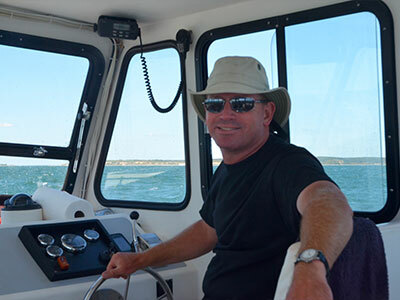 Fishing is a life passion of Captain Jonathan’s and for over the past 30 years has been navigating the fertile Martha’s Vineyard fishing grounds to find the biggest Striped Bass and Bluefish. 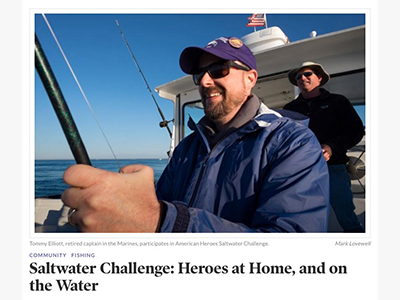 He has used that devotion to the sea to help anglers enjoy the best possible Martha’s Vineyard fishing trips. Whether you are seasoned fishermen or a family with young children, Captain Boyd’s charter fishing experience means you will have an exciting fishing trip designed for you and your group to enjoy the best fishing Martha’s Vineyard has to offer! Menemsha fishing charter trips with Captain Boyd will take you from the port of Menemsha, past the cliffs of Aquinnah, and to the fertile fishing grounds from Squibnocket, No Man’s Land, the Elizabeth Islands and his secret fishing areas. Captain Jonathan Boyd has been fishing the waters off Martha’s Vineyard his entire life. He knows where the big Striped Bass, Bluefish, Tuna, White Marlin and Sharks are. Captain Jonathan’s extensive fishing background will put you on the fish, no matter where they are! Not only will you catch big Striped bass and Bluefish, Captain Boyd will create a Vineyard fishing adventure for you that’s not only successful and exciting, but fun for the whole family. Experience for yourself why our Martha’s Vineyard fishing charter experience is the best on the island! Contact us today to book your Martha’s Vineyard Fishing Charter!